The Harappan site of Dholavira was discovered by Shri Jagatpati Joshi in the year 1967-68. Located in an island name Khadir surround by great Rann of Kutch, this Harappan site Dholavir is spread over 100 Hectares. 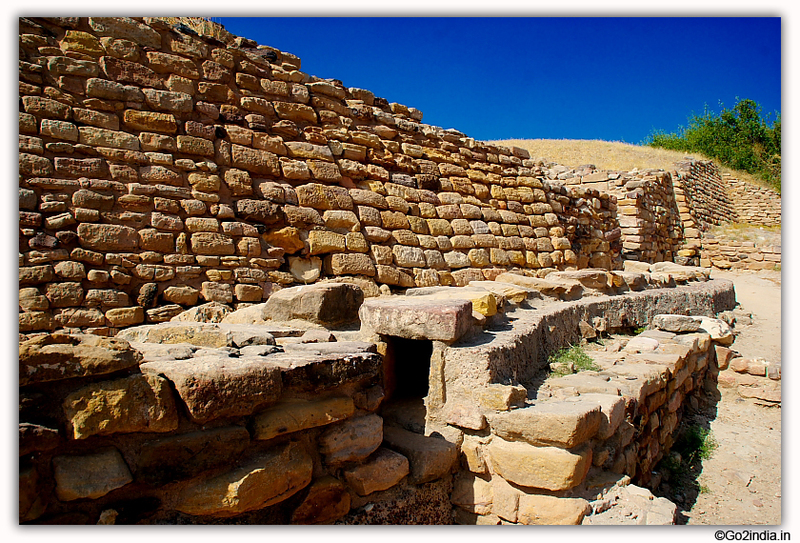 It is one among the five Harappan sites of Indo-Pak region. About the Dholavira excavated site. After entering to the Dholavira exvacated site you will first see a museum maintained by Archaeological Survey of India. This museum opens from 10 AM till 5 PM , Friday holiday. Local guides are available to explain you about the ancient civilization which was a part of the Indus valley civilization, It will take one hour minimum to visit the site and return to your vehicle. Your guide may charge you Rs 250 to Rs 300 for a one hour visit to the site. The site of Dholavira was in the form of a parallelogram guarded by a fortification. Total area is divided in three major sections i.e The Citadel , The middle town and The lower Town. The Citadel at south side consists of two fortified divisions, the castle in the east and the bailey in the west the middle town. It was also found that fortified lies to the north and is separated from citadel by long and wide ceremonial ground. The lower town was laid out within the general fortification to the east of the middle town. In the citadel and middle town area interesting network of drains, both small and large are discovered. A board with ten letters, made of gypsum was found on the northern gate of the castle, it is acclaimed to be the oldest signboard and it represents name and title of the king of the city. Each sign is about 37 cm high and were scribed on a board of 3 meter height. The part adjustment to the west of the castle which served as a residential complex for other important officers . There are two major reservoirs were found here, one is southern reservoir and other one is known as eastern reservoir. These resovoirs were partly excavated into the bedrock and partly built of masonry. Water diverted from nearby nullah and due to rainfall are stored here. There are rope marks on the stones near the wells where collected water from the well is poured in another channel to finally reach a small well for regular use. Gold , silver , copper, shell and terracotta ornaments were in use that time. A vessel of chloriteschist and some other antiquities of west Asian origin indicates its link with Mesopotamia. In addition to this some other antiquities found here were graduated scale made or a charred rib bon of an animal, a number of seal and sealing, beads of semi-precious stones. It will take 4 to 5 hours to reach Dholavira from Bhuj town. If you are planning to reach Dholavira during lunch hours then before visiting the site you can give your order for food at nearest resort and on return your food will be ready. Or you can plan for a night stay at resort and enjoy the peaceful life here. You can reach Dholavira by road only. If you have plan to visit other areas in Kutch region then better to reach Bhuj first and keep one day for Dholavira along with other sightseeing programs from Bhuj. You can stay one night at Dholavira or start early morning from Bhuj and return to Bhuj in night after visting Dholavira and fossil park. 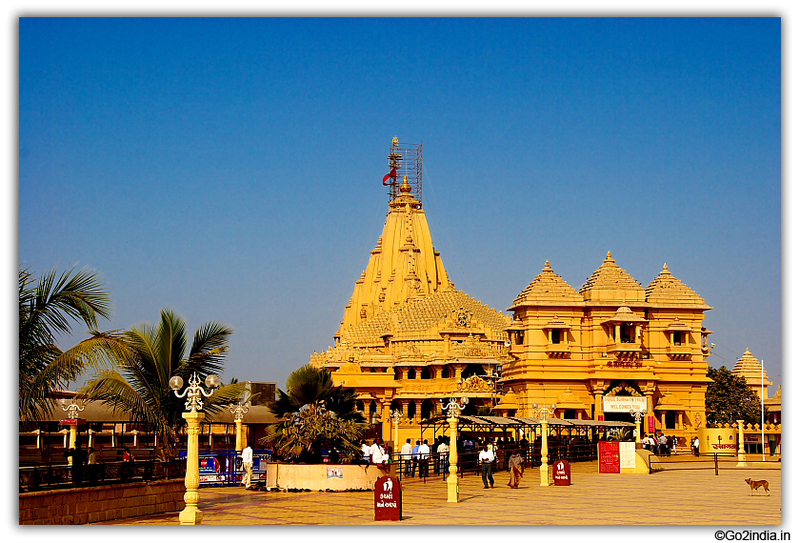 Bhuj to Dholavir distance is 230 KM and it will take 4 to 5 hours to reach by road. From Bhuj you can travel by NH and before Bhachau you can take left turn to travel towards Rapar. 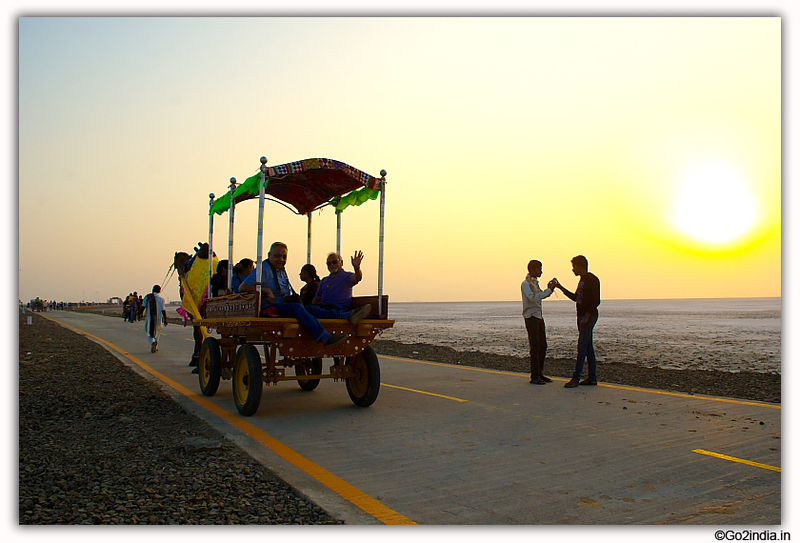 After travelling 186 KM from Bhuj you will enter to great Runn of Kutch Lake and nearly 7 KM length of road is within this Rann with spectacular view on both sides. After crossing Rann you will enter into the island of Khadir. By bus you will get good connectivity upto Gandhidham or Bhachau but upto Dholavir there are few public transport are available. 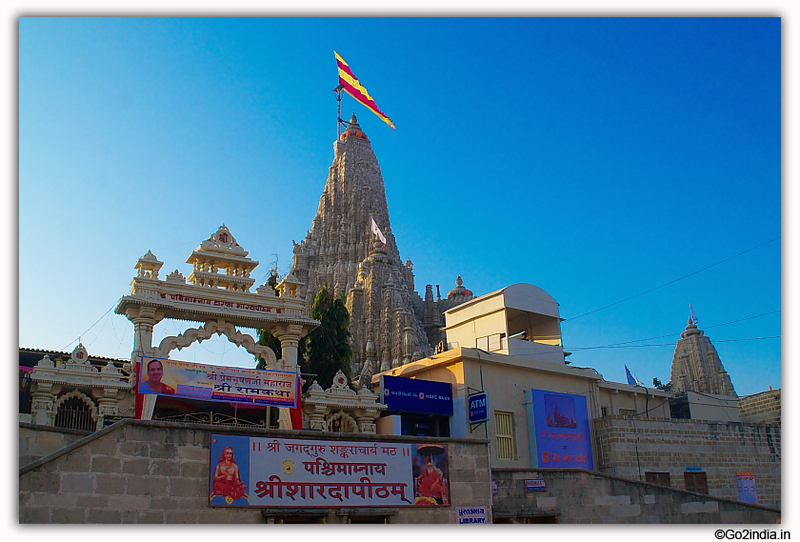 There is only one bus starts morning from Bhuj and reaches afternoon at Dholavira. You can come to Bhuj airport and drive 230 KM to reach Dholavira, there are daily flights from Mumbai / Ahmedabad to Bhuj airport. Or you can take a cab from Rajkot airport to Dholavira. Rajkot airport is connected from Delhi , Mumbai and Ahmedabad. Bhuj railway station you can use if you want to combine other places of Kutch region in your itinerary. The closest railway station is Samakhiali BG station ( Code : SIOB) 136 KM , further west you can reach BHACHAU BG station ( Code : BCOB) 153 KM from Dholavira or from GANDHIDHAM BG ( Code : GIMB) 192 KM from Dholavira. All these stations are in the Ahmedabad to Bhuj railway line. There are two resorts available at Dholavira ( 2016 Jan ) . Gujarat Tourism owned Toran Tourist Complex is before 1 KM of excavated site. 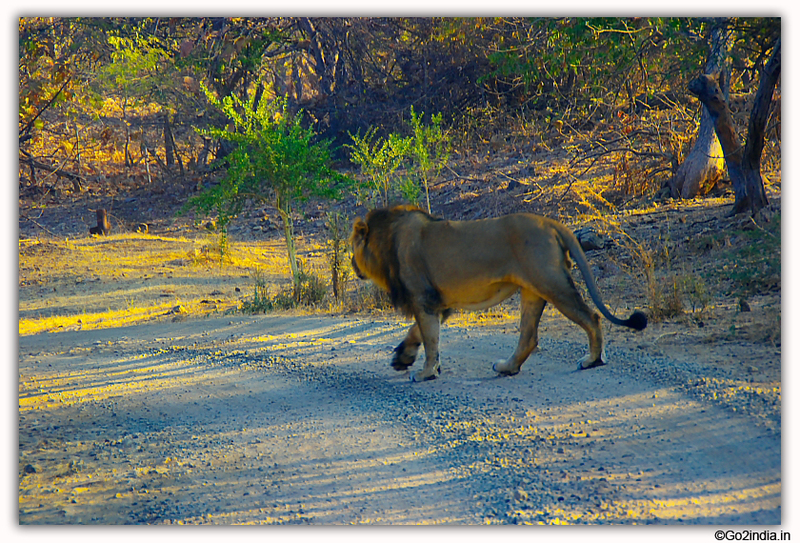 Further close to site there is another Dholavira Tourism Resort with all facilities. 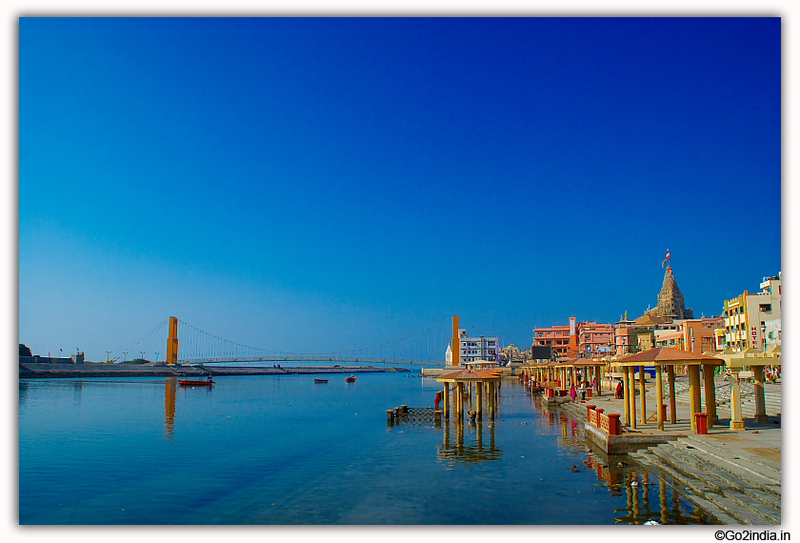 Both the resorts are within 1 KM from the excavated site of Dholavira. 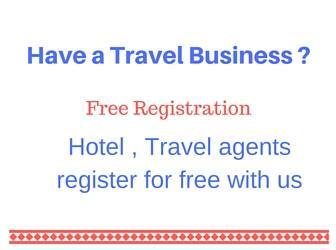 During busy seasons you need advance booking if you have plan to stay one night here.